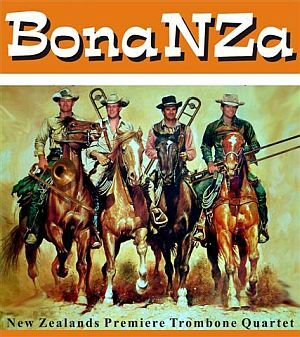 "SPECIAL SUMMER OUTDOOR FAMILY CONCERT"
Something bold and bright to start the year - BonaNZa - New Zealand's premier trombone quartet performing in the beautiful surroundings of the Nga Manu Nature Reserve. A fun programme of light classics, jazz and show tunes - ranging from Mozart and Rossini through to Sousa, Irving Berlin and Bernstein, played by four of New Zealand's finest trombonists drawn from the NZSO, Auckland Philharmonia and Vector Wellington Orchestra. Special prices:Adults - $15. Under 20s - $5. In the event of wet weather, the concert will be held in the Waikanae Memorial Hall. The welcome return to our concert platform of the pianist everyone wants to hear. 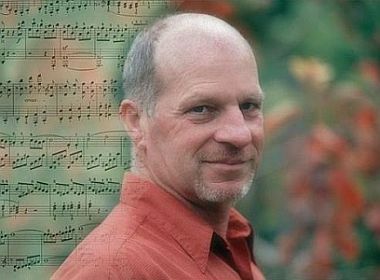 In this not-to-be-missed recital Michael Houstoun will play J S Bach's French Suite No 5, Beethoven's Opus 109 Sonata, Brahms' Variations on an Original Theme (Opus 21), Chopin's Three Mazurkas (Opus 59) and the magnificent Bach-Busoni Chaconne. As this concert is expected to be very popular, prospective audience members are urged to purchase tickets in advance from our usual outlets. Door sales may be unavailable and, at best, will be extremely limited. Violinist Justine Cormack, cellist Ashley Brown and pianist Sarah Watkins were all successfully established musicians before they joined forces to form this trio. 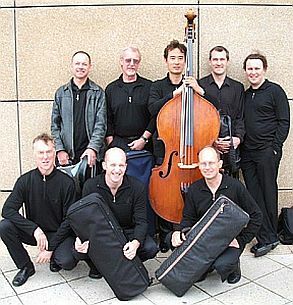 Now as Ensemble in Residence at the University of Auckland, they have earned an important place in the New Zealand chamber music scene. Their varied programme includes new commissions from James Gardener and John Psathas, contrasting with the more conventional favourites of Beethoven's Kakadu Variations and Mendelssohn's Trio No 2 in C minor. "Perfect intonation", "exquisite ensemble playing", "polished", "exceptional" ... just a few of the superlatives that the New Zealand String Quartet have drawn from critics on their recent tours to Europe and North America - and we are lucky enough to have them here on our doorstep. 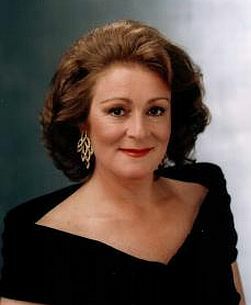 Helene Pohl, Douglas Beilman, Gillian Ansell and Rolf Gjelsten will play movements from J S Bach's Art of Fugue, plus Mendelssohn's String Quartet (Opus 13) and Schumann's String Quartet in F.
We are delighted to welcome back Read Gainsford, one of our most accomplished pianists who has long been absent from the New Zealand concert circuit. 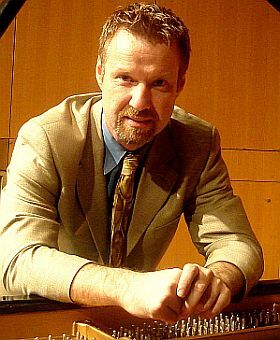 An early winner of the TVNZ Young Musicians' Competition, he last played in Waikanae in 1990, before leaving for study and further competition successes in Britain and the US where he now combines a busy performing schedule with his post as Professor of Piano at Florida State University. He will perform works by Chopin (The 24 Preludes), Scarlatti, Messiaen and Schubert. Another winning programme from our favourite ensemble, this time featuring octets for strings and wind. The main offering will be Schubert's delightful Octet in F (D803), complemented by the light and witty "A Huit" by Jean Françaix and a new commission from Anthony Ritchie. Violinist Donald Armstrong will be joined by Andrew Thomson (violin), Vyvyan Yendoll (viola), Robert Ibell (cello), Hiroshi Ikematsu (double bass), Philip Green (clarinet), Robert Weeks (bassoon) and Gregory Hill (horn). Kapiti's own outstanding young musician, violinist Blythe Press, on a return trip from his studies in Austria, will feature as soloist with the Kapiti Concert Orchestra under the baton of renowned conductor Kenneth Young. 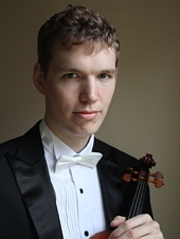 Blythe will perform Bruch's popular Violin Concerto. Amongst other works the orchestra will play excerpts from Schubert's Rosamunde Ballet music. Something quite different - an afternoon of lieder from two of New Zealand's best known and loved performers. In a delightful mix of songs and arias by Schubert, Richard Strauss, Fauré, Puccini, Kabalevsky and Loewe, the pride of place will go to the major work - Schumann's glorious song cycle Frauenliebe und Leben. Michael Houstoun will also perform some of Mendelssohn's Songs Without Words and Liszt's transcriptions of Schubert songs. 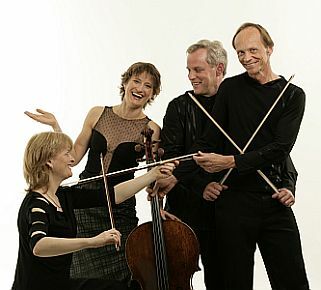 The Parata Ensemble is a newly formed group who gave their debut concert in July 2006. The name "Parata", in addition to its New Zealand associations, is Spanish for "parade". 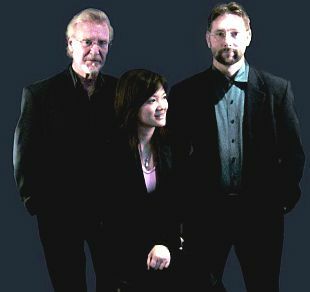 Violinist Cindy Yan, who came to New Zealand from China in 2002, will be joined by well known viola player Vyvyan Yendoll and cellist Paul Mitchell, recently returned to New Zealand from 10 years of performing in Spain. With guest NZSO flautist Kirsten Eade they will present a programme of music for Flute and String Trio by Copland, Mozart's Flute Quartet in D and Dohnanyi's richly romantic Serenade for String Trio. Saturday 26 May and Saturday 3 November, 4 to 5.30pm. "These pages were last updated on September 24, 2007"